I'm very excited to announce that I've teamed up with the lovely folks at Dangerfork in Melbourne, Australia, once again to create a limited edition screen-print. This time around it's a very old stencil of mine, a deer. 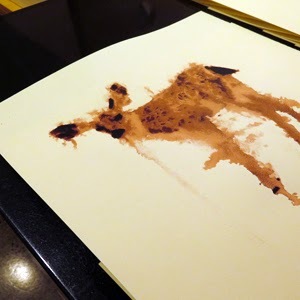 I pulled out the stencil of the deer to repaint it as a drippy animal specifically for this print. The print has been titled "Deer on the run", and it's the forth print I've done with Dangerfork. It follows on from the cheetah, flamingo and weedy seadragon. 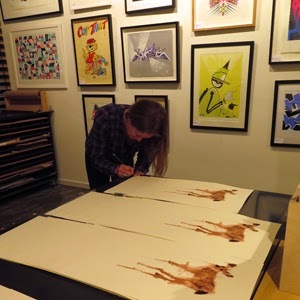 We've not yet announced when the deer print will be released, but come back to my website for an update or visit the Dangerfork website on a regular basis. 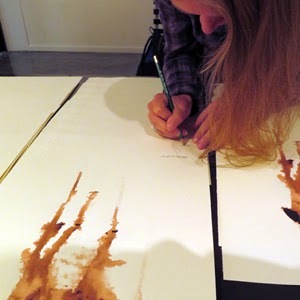 Either way you'll want to be quick as there are only 25 in the signed limited edition, plus a handful of artist proofs. There are also a few weedy seadragon prints left in stock, the flamingo and cheetah have sold out.